Hello there fellow Citizens! Check here for the first part of the Starfarer Q&A that will be posted in three parts throughout the week! 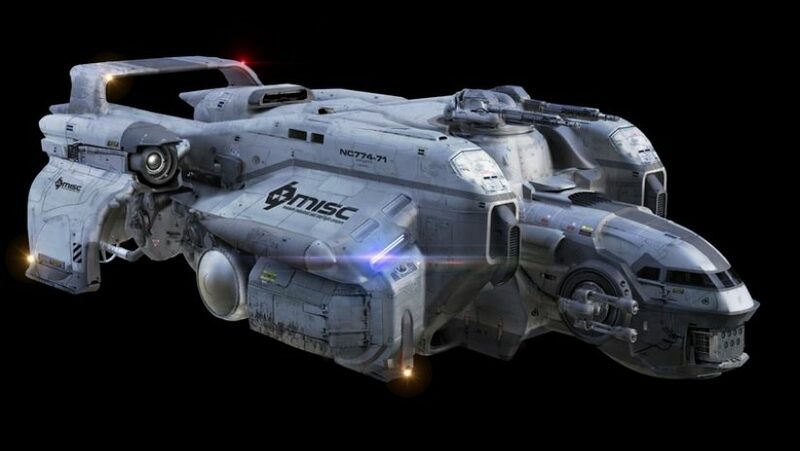 The 2945 MISC Starfarer is the refueling platform of choice for the United Empire of Earth and nine out of ten major corporations. Rated #1 transport by Ship and Pilot, the Starfarer is a masterpiece of dedicated transport design. Featuring a modular nose mount capable of loading any of a dozen variant utility packages, the Starfarer can be adapted for any mission from fuel gathering to ranged radar support. Onboard refinery equipment and built-in, reinforced hydrogen piping installed throughout the hull mean that the Starfarer isn’t another converted transport: it’s been designed from the ground up to make efficient fuel transfer possible. With the MISC Starfarer, you’ll never run on empty again. This post features 16 questions from fans. There will be two more Q&A posts, Wednesday and Friday. You can submit your questions HERE. Will the Gemini variant be branded as MISC or AEGIS? Good question! In our lore, MISC builds the basic chassis of all Starfarers. If this chassis is to become a standard Starfarer, it’s completed in the MISC factory. If it’s being adapted by the military, it’s shipped off to Aegis for completion. (This is based on real life civilian aircraft which are often completed by military contractors for use as sub hunters, AWACs planes, etc.) The formal badge on the Gemini will read Aegis Dynamics, although you can rest assured a great deal of MISC work went into the ship! Can you tell us a little bit more about the state of the fuel mechanic? How important is fuel ingame? Will I have to refuel regularly on a long flight? How important is the size of my fuel tank? Is it useful to have a Starfarer on long exploration convoys? We expect fuel to be a serious ‘support’ role in Star Citizen. There will be players and NPCs with Starfarers serving the masses… and the importance of fuel will go up depending on the nature of the mission. For instance, a military campaign against the Vanduul might be significantly benefited by supporting Starfarers, as the ships in battle will be taking damage and expending supplies quickly. A force of transports moving through safe space, however, might never need in-flight refueling as they will always be close to a planet.